Lots of joy and delight in Governors Harbour this week with an update on The Haynes Library and a lovely wedding celebration. 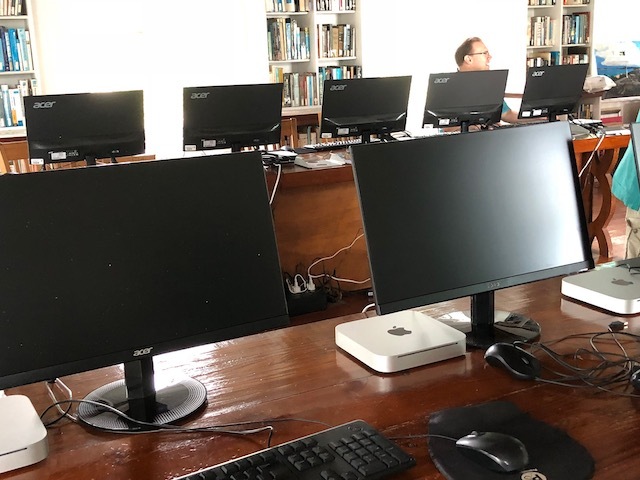 The funds raised by the Jazz Festival in 2018 have been put to great use at the Haynes Library by updating the computer centre there. 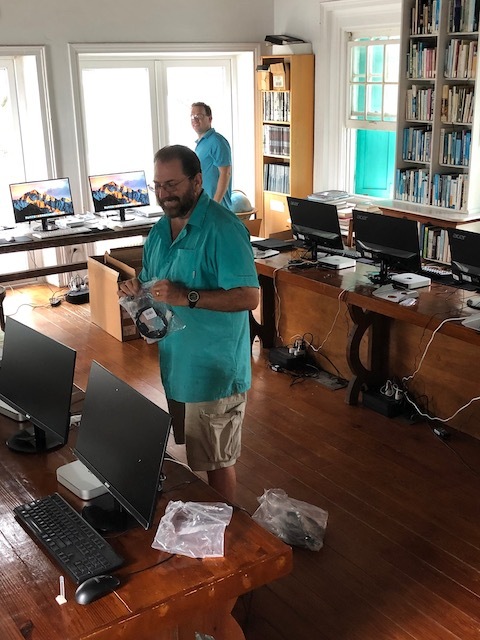 There are now 15 new desktop computers there along with a much more powerful wi-fi system. Many local children and adults use the computer system for school work and other essentials so it is a real boost to have all these new computers. That is not to mention all the visitors to the island who also benefit from the set-up there. 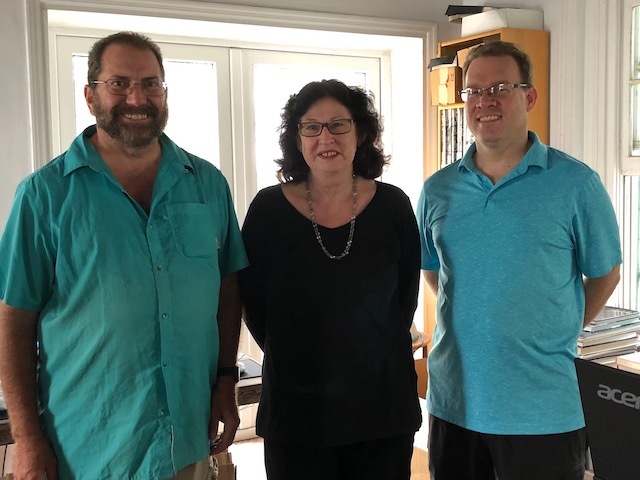 I have written before about Bruce Ferri and his lovely wife Shannon Curran – they do all the staging and lighting for the Jazz Festival – and they are a wonderful, kind and generous asset for the island. Their company in New York sourced the Mac minis – getting the best possible deal on Black Friday to make the most of the funds. They have also very generously talked their fabulous IT guy – Garth Bosman – into installing all the systems pro-bono. What a result for the people of Eleuthera. 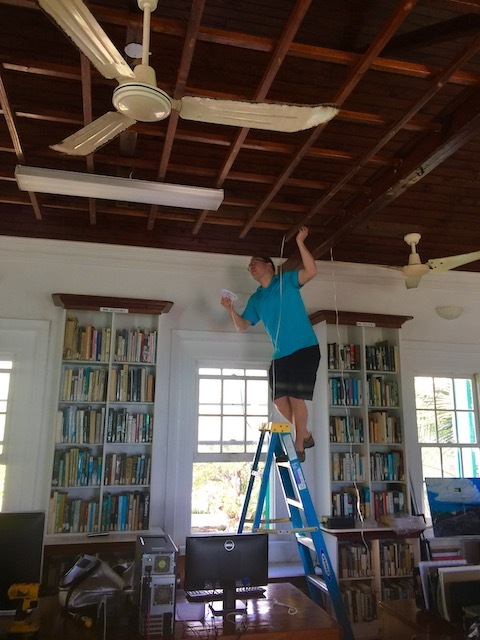 We are all extremely lucky that people like Bruce and Shannon have embraced the island and made a home here and are happy to participate in making the library in Governors Harbour into an even better place. Of course no mention of the library here can be without a vote of thanks to Michele Johnson and Ros Seifert who both in their different roles continue to make it the centre of excellence that it is. 15 of these beauties ! So one of my delights this week is feeling a real sense of joy in how people can come together – each doing their part – to make living here a better experience. It was organized and catered by Mish and Zev of Boy Meets Girl Weddings and they did a wonderful job. 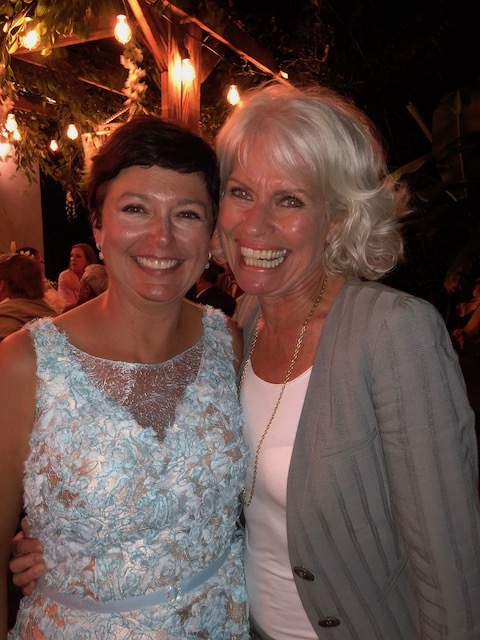 You know when everything feels like it just happened totally effortlessly – well that means that some amazing planning and execution went into it ! 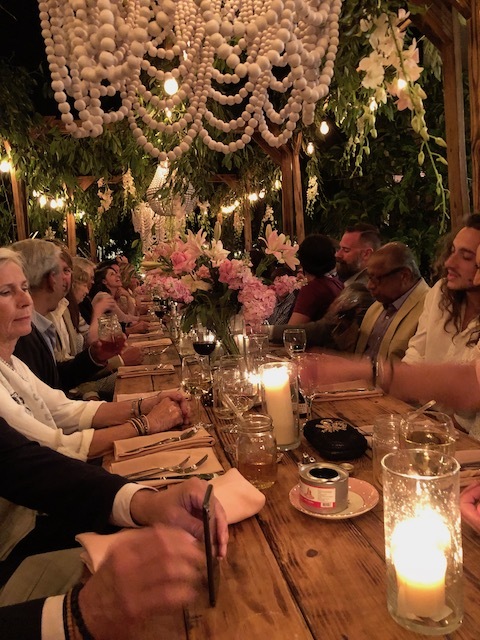 The setting – in the garden was perfectly set up – everywhere looked so pretty ….. And the meal was truly delicious. To cook lobster tails so perfectly for around 50 people was not going to be easy – but it was handled coolly and efficiently – well that’s how it felt as a guest – what happened behind closed doors may be another story – but it all went off without a hitch. 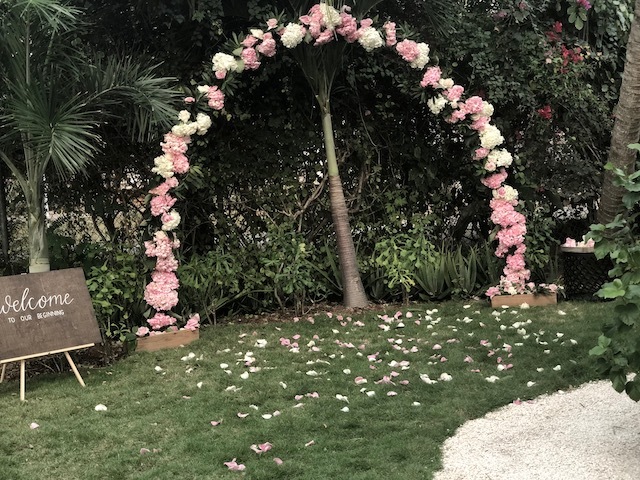 The wedding arch where the short ceremony took place…. 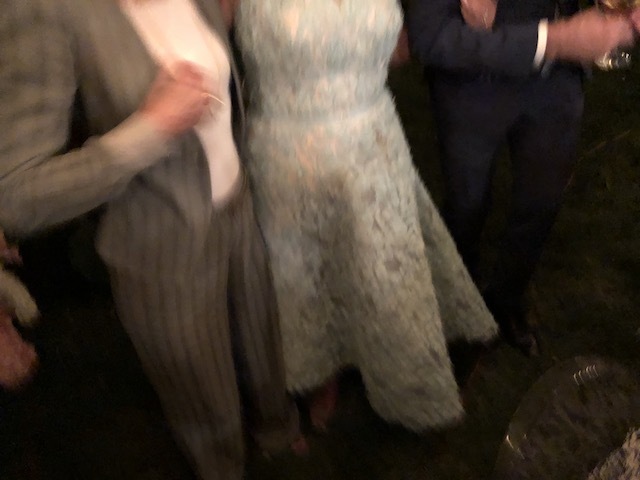 With the beautiful bride …. I am going to write a full blog on Mish and Zev and what they do as they deserve plenty of bigging up . You will remember they also did all the staging for Angelika Bacchus’s party back in November last year. They are super hard working and efficient and they get it done ! Leisl’s dog – Lizzie – who looked gorgeous with a little cluster of flowers fixed to her collar. 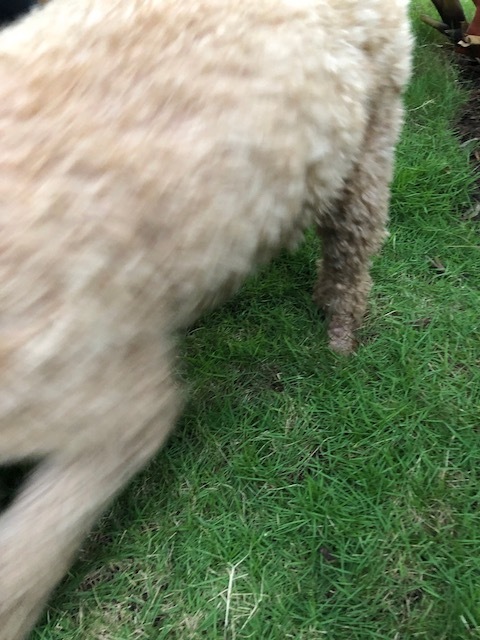 I spend quite a bit of time trying to get a great picture of her – and failed miserably !! Nobody ever really posts the bad pictures – so I thought I would set a new trend ! And here is another – with our heads totally chopped off ! This will be the first winter in 15 years I will not get down there. Miss Angelika Sandy and all the sights and sounds, especially the roosters!! !